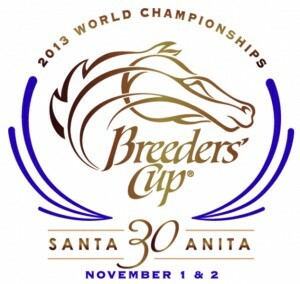 Saturday's opening race is the Breeders Cup Juvenile Fillies, on the main dirt track and run over a mile and a sixteenth. This is one of the 'original' BC races, and as such is celebrating its 30th anniversary in 2013. There are thus two lots of trends to consider: those for the six Santa Anita version of the Juvenile Fillies (two of which were run on Pro-Ride), and the last ten years as a whole. The first thing to say is that this is generally not a race in which to get too clever. The favourite has the best record of any Breeders Cup race, winning 59% of the time. In the last eleven years, the average dividend was just $7.68, which is a smidgen over 5/2. Even the six Santa Anita Juvenile Fillies have averaged out at 7/2. Not only has the favourite won 17 of 29 renewals, but she's also been 2nd or 3rd seven more times, for a place percentage of 83%. Wow. Don't leave the jolly off your trifecta tickets! But it gets better for stats fans. Five of the six Santa Anita Juvenile Fillies races have been won by a Southern Californian (SoCal) filly. In the other year, one of the two Pro-Ride races, a mid-West polytrack specialist prevailed. The Noo Yoikers are still awaiting their first taste of Juvie Filly success at Santa Anita, and if you like an East Coaster, keep that in mind. Join the Geegeez Breeders Cup Syndicate by clicking this link. Eight of the last eleven Juvenile Fillies winners had three or four prior starts, with just Indian Blessing being precocious enough to win off two runs. 26 of the 29 winners of this race had raced within the last 30 days. This is hardly surprising given that the three key preps - see below - are all run three to four weeks before the Juvie Fillies. Thanks to the guys from Crushing The Cup for this nugget: almost all Juvenile Fillies winners showed improved Beyer speed figures when stretching out from sprint distances towards a mile. If your girl has a smaller number for the longer trip, she's probably a sprinter. There are three key prep races - the Frizette, the Alcibiades, and the Chandelier (formerly Oak Leaf). There is one further WAYI race, the Pocahontas Stakes, won by Untapable. In the Frizette, Artemis Agrotera outstayed favourite, Sweet Reason, and may prove best of the New York team. As mentioned above, she'll have it to do to beat the SoCal's, led by Chandelier trio, Secret Compass, She's A Tiger, and Fascinating. That was a cracking race, and just a length separated the three, with favourite, Fascinating, almost closing down a five length deficit inside the last eighth. Given a different pace scenario, these placings could easily be reversed. In the Alcibiades, My Conquestadory won comfortably. She may head here or to the Juvenile Fillies Turf, in which she has a strong hand too.